When Littlest was around two weeks old, every day, at near enough exactly the same time, she would begin to cry. Of course, new born babies cry – pretty much every parent is going to expect that, and a touch of colic. As I was on my second child, I thought I knew how to deal with it. After all, Biggest cried a lot. I spent so many hours pacing with him in the carrier to calm him. I knew how to handle a colicky baby. Littlest started screaming at around 3 pm. Her cries were nothing like anything I had experienced before. They were shrill, ear-splitting. Her whole body went rigid, her face bright red. It was the kind of noise that you want to stop, instantly. It seemed to bypass my ears, thought they were ringing uncontrollably, and went straight to my gut. I knew she was in pain and I knew I was powerless to stop it. She started crying at 3 pm and, on a good day, she stopped around midnight. On a bad day, she screamed into the long, small hours of the night. When she finally slept, I dare not move or breath. Although I was exhausted, if she would sleep on me I stayed awake. I would have done anything in my power to keep her asleep and peaceful. Every day, I tried every comforting tactic I knew. I rocked and jiggled and went for long walks, bought every type of anti-colic bottle known to man. We blasted white noise and held her in every position. I paced with her in the carrier, as it had comforted her brother. She screamed just the same. Nothing seemed to help. 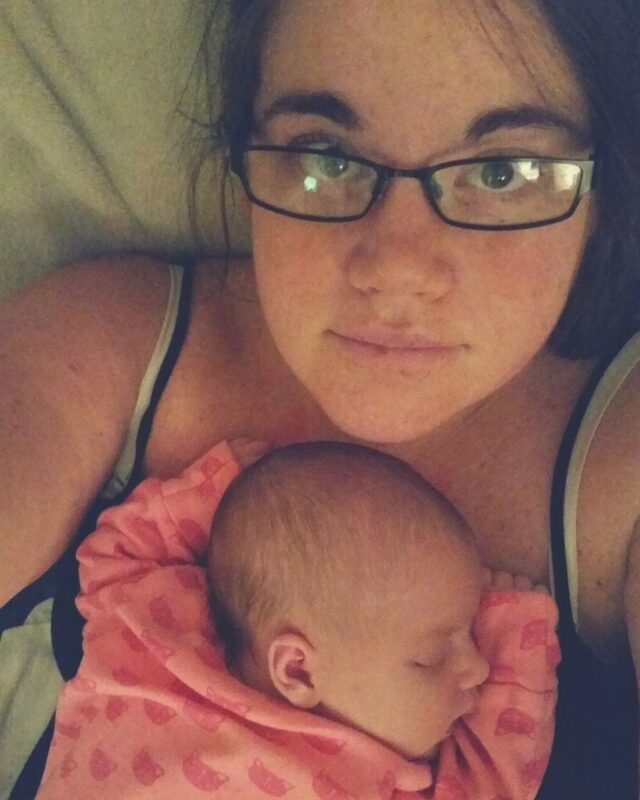 When Littlest was four months old, the crying began to start a little later. She feel asleep a little earlier. Within a month or two, she was only crying between 5 pm and 7 pm and I could finally put her down in a cot for the evening. By the time she was ten months old, it had almost stopped. Those months were some of the hardest I have ever endured. They significantly affected my relationship with my daughter; precious memories during the newborn phase were all but non-existent. At first, I did not feel the same way about her as I did my son. I am ashamed to admit it. Now, I love her as dearly as it is possible to love anything – but I did not bond in the same way at first. The first four months of her life were torturous, a seemingly endless onslaught against the screaming. I always imagined I might have three children but this experience changed that feeling. But, it came to an end. 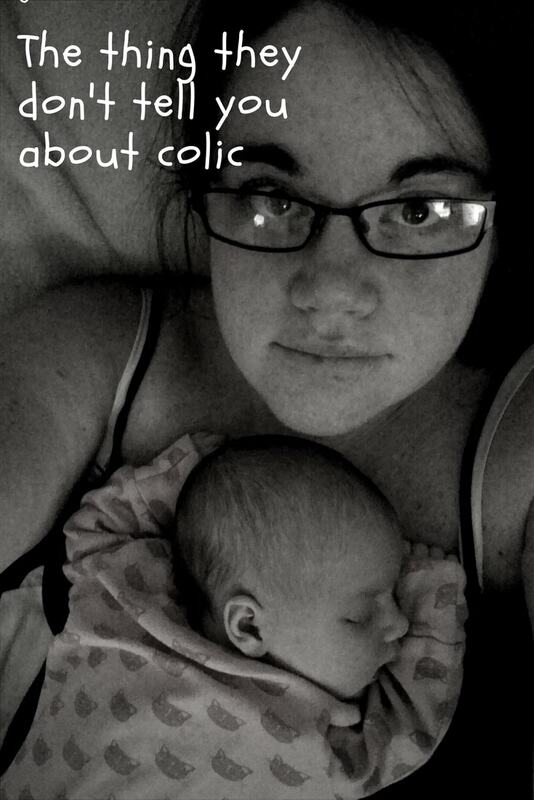 Dealing with a baby with severe colic can be an extremely difficult experience. However, it will come to an end and you will be able to start treasuring time with your baby again. Until recently, not much has been known about the underlying causes of colicky symptoms, but that is starting to change. Evidence suggests that the immature digestive system of babies can struggle making enough lactase to digest the lactose (a natural milk sugar found in breast and formula milk) in their feed, which can induce colicky symptoms. This is called Transient Lactase Deficiency. Guidelines from both the National Institute of Clinical Excellence (NICE) and the NHS Choices website suggest that Transient Lactase Deficiency could be an underlying cause of infantile colic, and that a one week trial of a Lactase Enzyme Drop is worth a try in colicky infants. The drops can be used from birth, and are sugar, preservative and flavour-free. They can be added to breast milk or infant formula prior to feeding. The lactase enzyme breaks down the lactose in breast and formula milk which should reduce the symptoms of Transient Lactase Deficiency. Unlike other preparations, Care Co-Lactase Infant Drops do not interfere with the feeding process, meaning a baby can be fed immediately (rather than waiting 30 minutes for the drops to take effect). I am offering one reader the chance to win a presentation box of Care Co-Lactase. Enter via the Rafflecopter below. Please note, entrants must be UK residents and other terms and conditions apply. Please see Rafflecopter for full details. Co-Lactase drops are available to buy at Asda for £10 for 60 feeds. 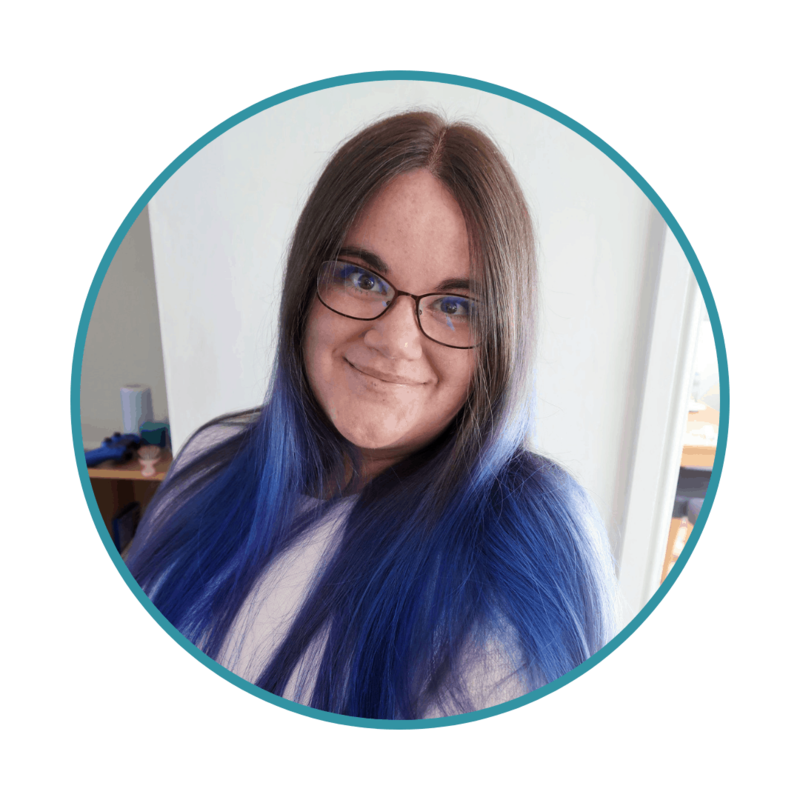 If your are a parent currently undergoing a similar scenario the experiences I have talked about, it may be worth trying to see if Transient Lactase Deficiency is to blame. It will pass. You are doing your best. 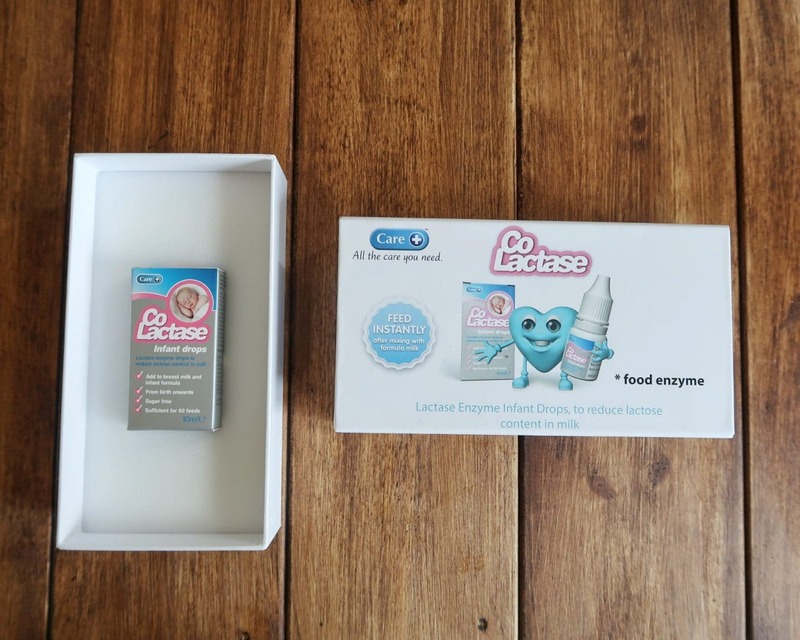 Please note, this is a collaborative post and Care kindly gifted us with the presentation Co-Lactase presentation box to give away. Few cuddles in the carrier! Baby bean bag and gentle rub in the baby’s back and tummy. Try a digestion massage which may help with colic and trapped wind, or a calming massage to soothe your baby. Rhythmic bouncing and rocking always seems to ease pain! Gripe water is fantastic too. 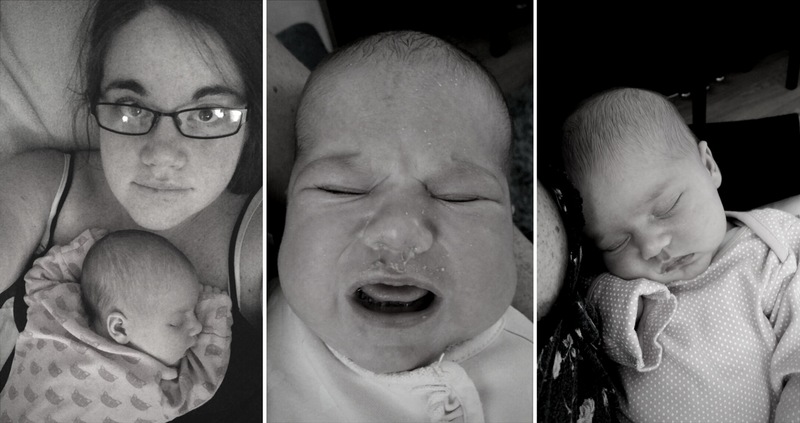 Sorry ladies who’s comments are posted above but as the mother who’s first baby had identical symptoms to the ones listed above, no amount of baby massage, jiggling up and down, walking the floor, gripe water or invacol helped. I am now a first time grand parent of a baby boy, he also has the same symptoms and all the usual remedies are useless. I am releaved to discover that 40 years after my first experience with my son, science has hopefully found the cause of this painful condition and hopefully a remedy that work.